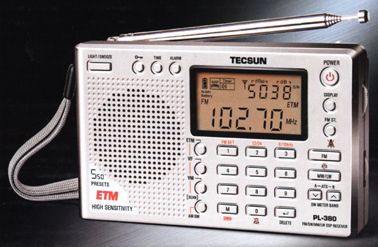 The Tecsun PL-380 covers long wave, medium wave, shortwave from 2.3-21.95 MHz and FM, including FM stereo to the earphone jack. This smart radio features DSP technology using a Silicon Labs si4734 chip to improve performance. It has 550 memories (100 for LW, 100 for MW, 100 for FM and 250 for SW). Both memory and band scanning is supported. Other features include: keypad, lock, clock with alarm and sleep and dial lamp. Band widths of 1, 2, 3, 4 and 6 kHz may be selected. 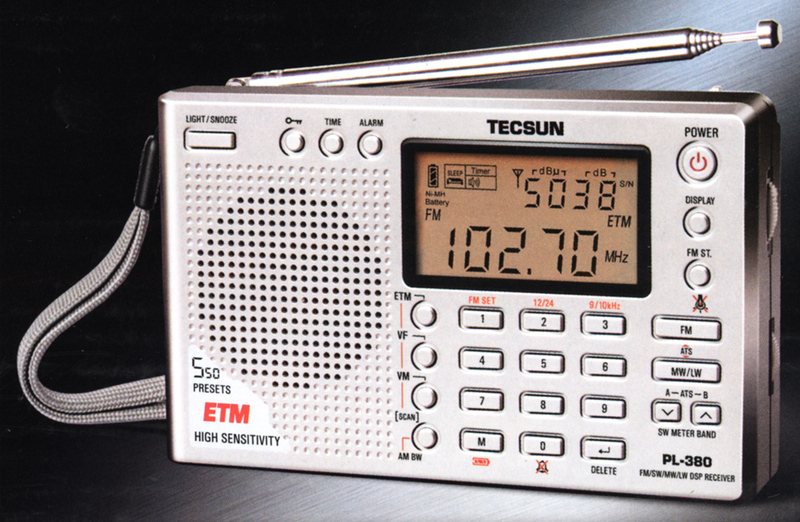 The backlit display shows frequency, time, alarm set, signal strength and temperature (F/C). 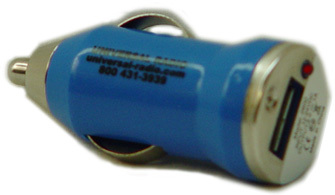 There is an internal ferrite bar antenna for medium wave (AM band) and a telescopic whip antenna for FM and shortwave. This radio includes: zippered carry case, stereo ear buds, wire-clip antenna, wrist strap and manual. Requires three AA cells (not included). 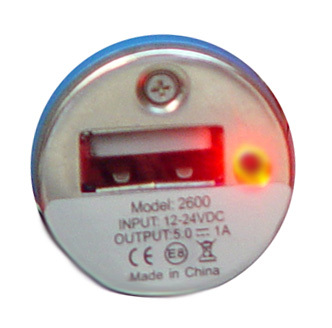 There is a built-in charging system to charge three NiMH AA cells (if used, not included) via a 5VDC USB port. There is a tilt-stand built into the back panel of the radio. 5.35 x 3.4 x 1.1 inches (135x86x26mm). Available in gray or silver.